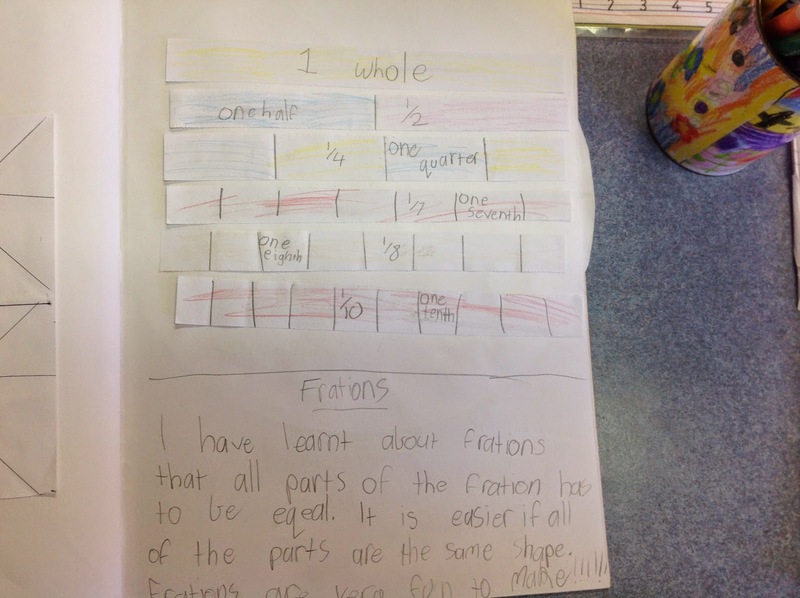 WPS Grade 1/2: Fraction Action! 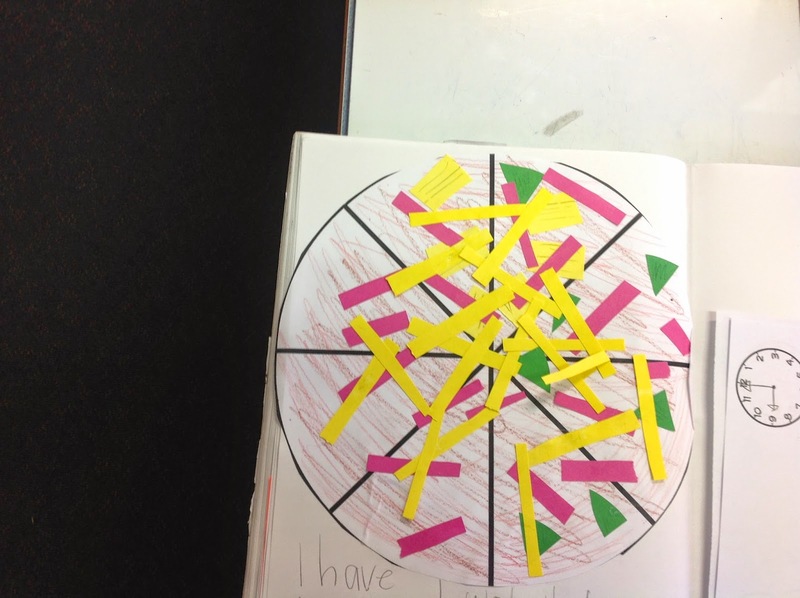 We've learnt about fractions....... that a fraction is an equal part of a whole. Its easier if all of the parts are the same shape. You have to be very careful when you fold the paper. 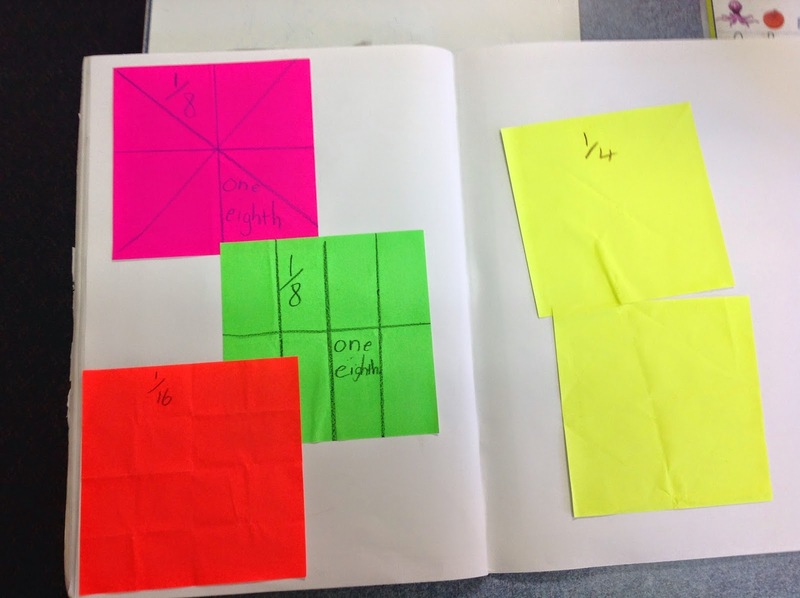 We have learnt eighths, halves, quarters and sixteenths. Fractions have to be equal. 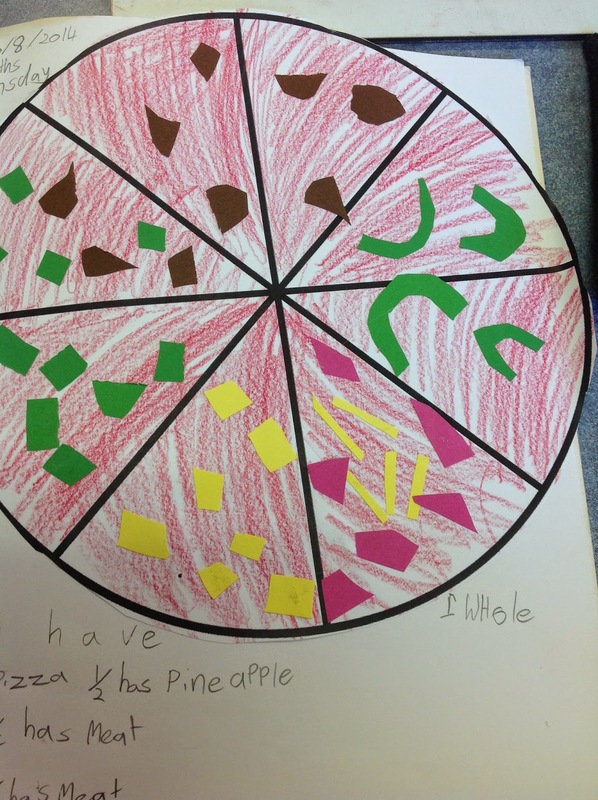 They can be whole, halves, quarters or eighths. 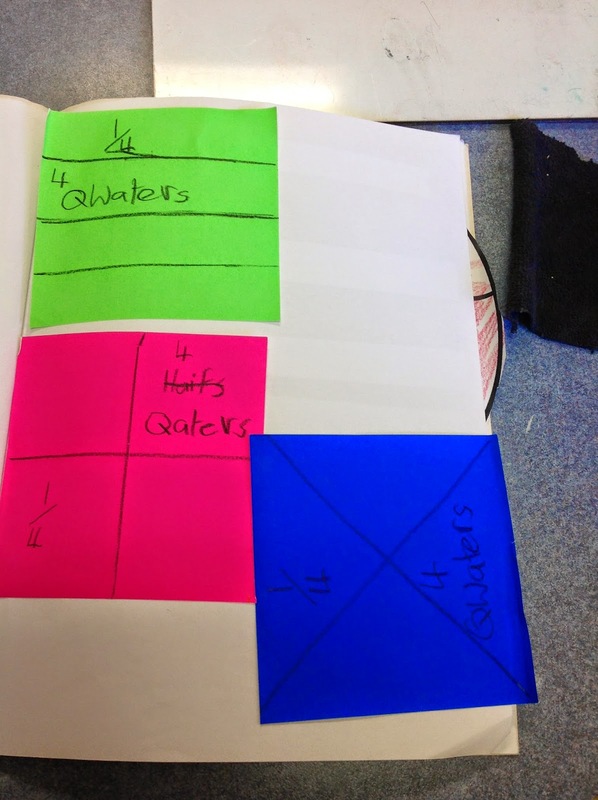 Whole, halves, quarters and eighths are all fractions. You have to have equal fractions. To make equal eighths fold your piece of paper in half. Then fold it into quarters. Then fold it again. When you open it up you will have equal eighths. I learnt how to make eighths. You have to fold it 3 times. Then you have eighths.